Sway control system helps correct sway in trailers that do not need a weight distribution hitch. To do this, the unit activates the trailer brakes based on the degree of sway and the trailer's speed. Gyroscope and GPS monitor sway and speed. 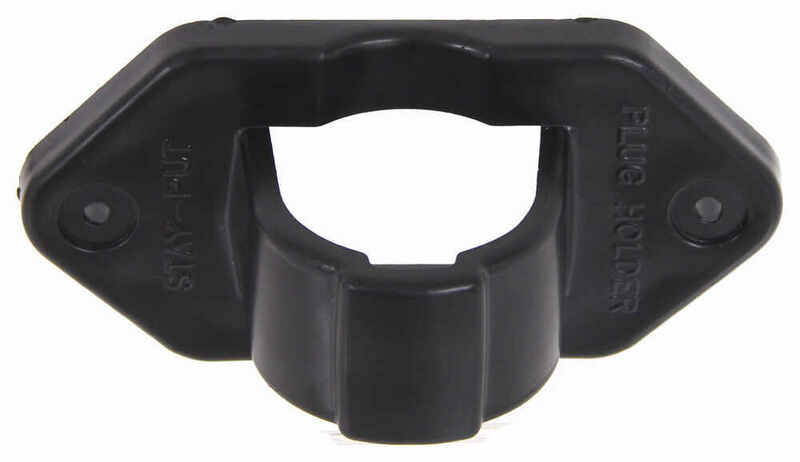 Lowest Prices for the best weight distribution from Hayes. 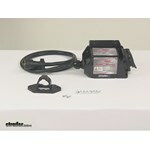 Hayes Sway Master Electronic Sway Control System - 1 to 4 Axles part number HA81775 can be ordered online at etrailer.com or call 800-298-8924 for expert service. 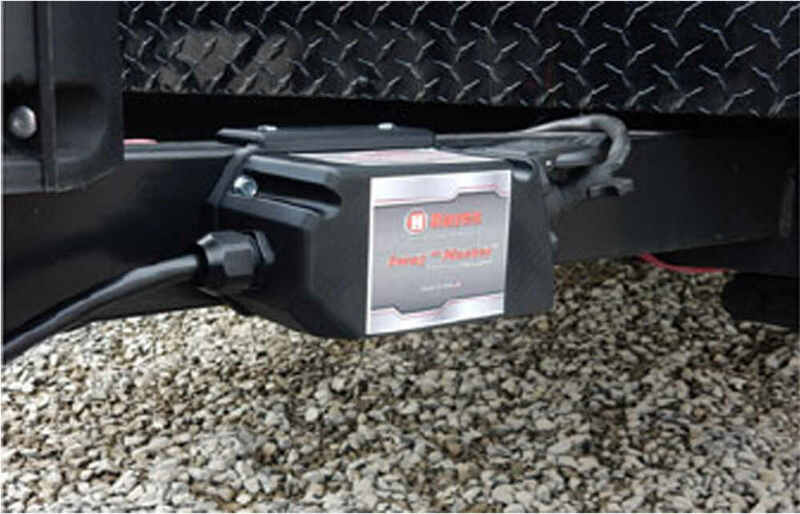 The Sway Master electronic sway control system helps to eliminate trailer sway for a better, safer towing experience. 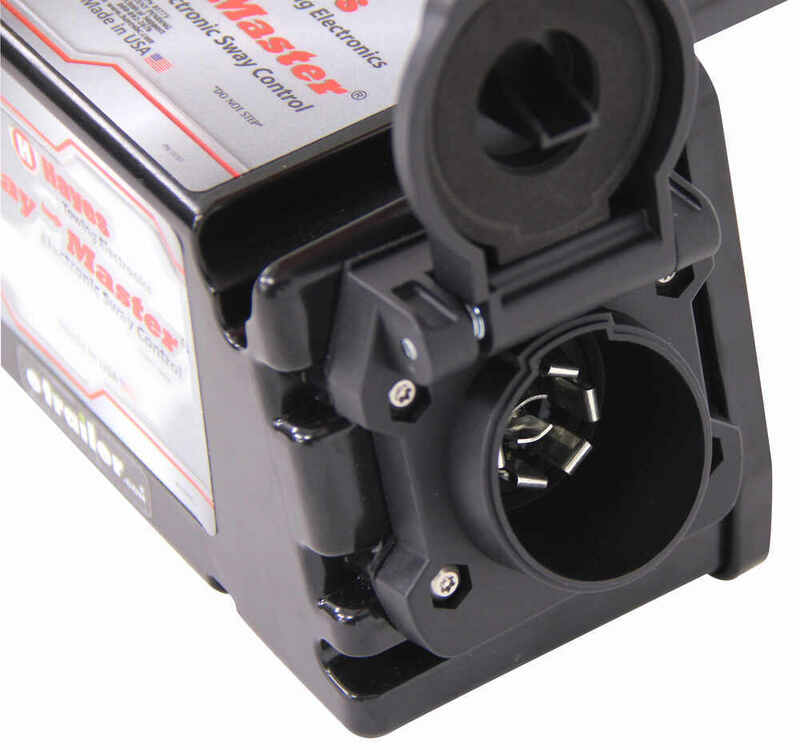 The Sway Master is ideal for use on light- and medium-duty trailers that don't require weight distribution. But it can also be used along with a weight distribution system for an even better towing experience. 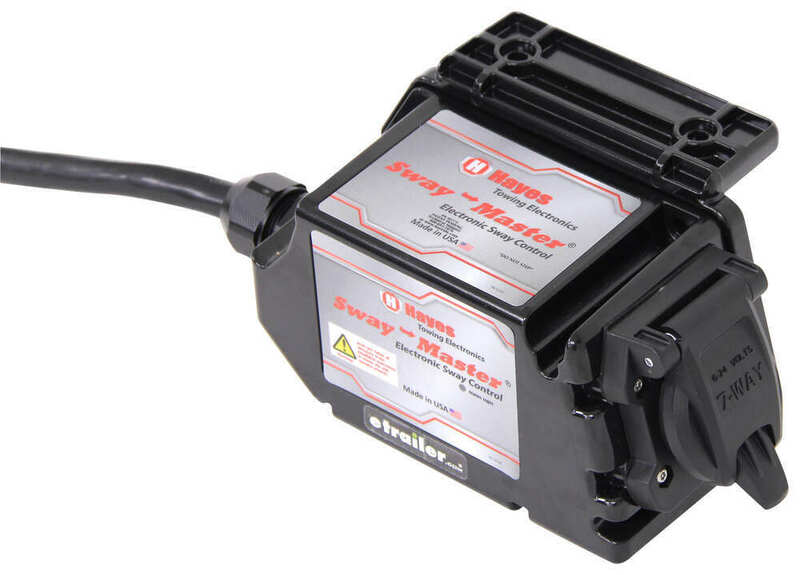 The Sway Master is different from most other sway control systems because it is not a mechanical system that either actively holds your trailer in line or pushes it back into line. Rather the Sway Master is an electronic system that senses movement and activates your trailer's brakes to halt that movement. It features solid-state gyroscope and a GPS, which actively monitor sway and speed respectively. When the gyroscope senses sway, the system applies the brakes to correct it. While the built-in GPS and gyroscope are always actively sensing, the Sway Master does not activate until the trailer reaches 45 mph. This helps to prevent unnecessary braking when making turns at slow speeds. Once that minimum speed is met and sway is detected, an algorithm based on the trailer speed and the degree of sway is used to determine the amount of braking force that is needed to counteract the sway. 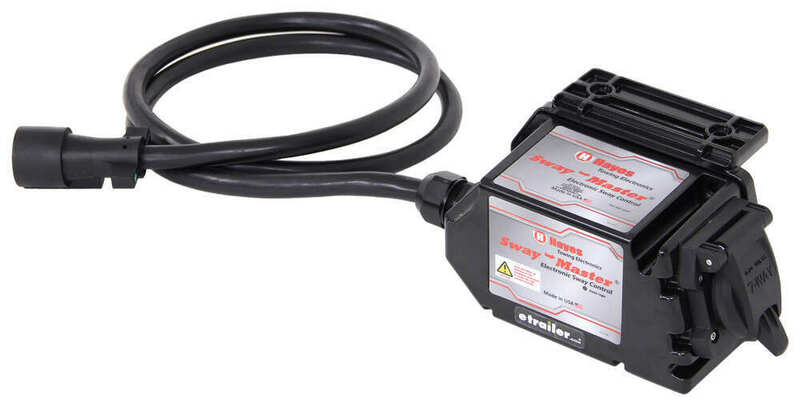 The Sway Master unit will then activate your trailer's brakes with that intensity. 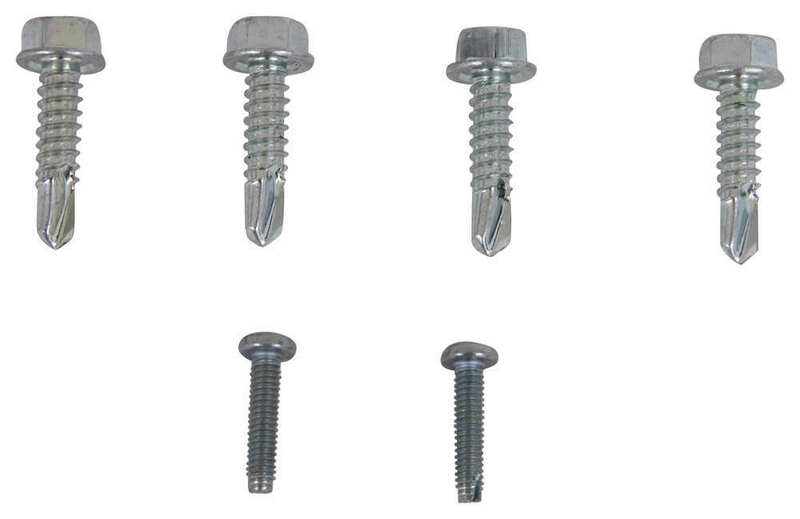 To install the Sway Master, you will be required to drill into your trailer's frame. Attach the Sway Master unit to the tongue using the included screws. In order for the GPS within the Sway Master to work properly, the top of the unit must be completely exposed to the sky. 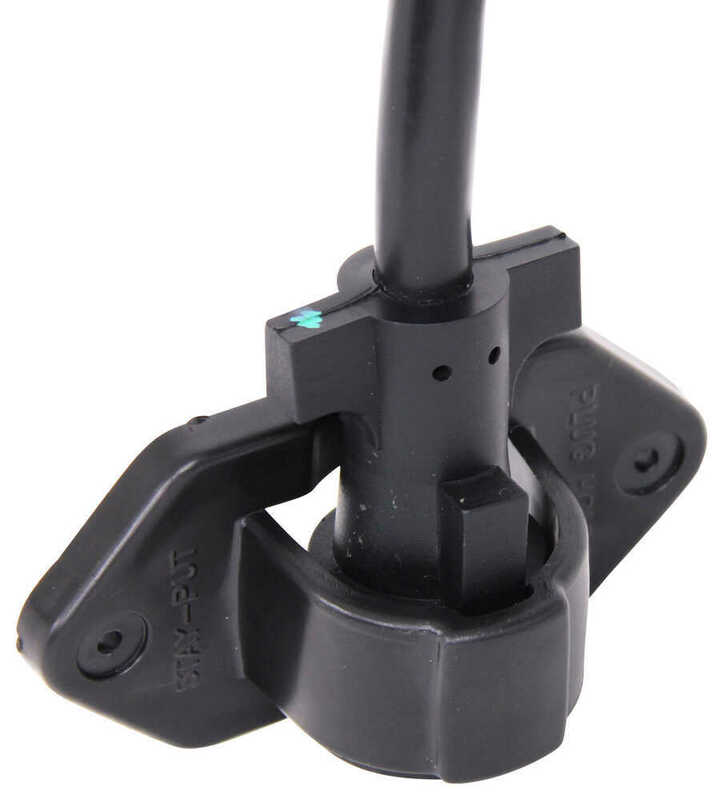 Other than ensuring that the top is not covered and that the unit is pointing in the correct direction for hookup, there are no mounting restrictions. Place the Sway Master anywhere along the rail so that you can clear other equipment or obstructions on the frame of your trailer. The unit plugs in-line with your current setup. 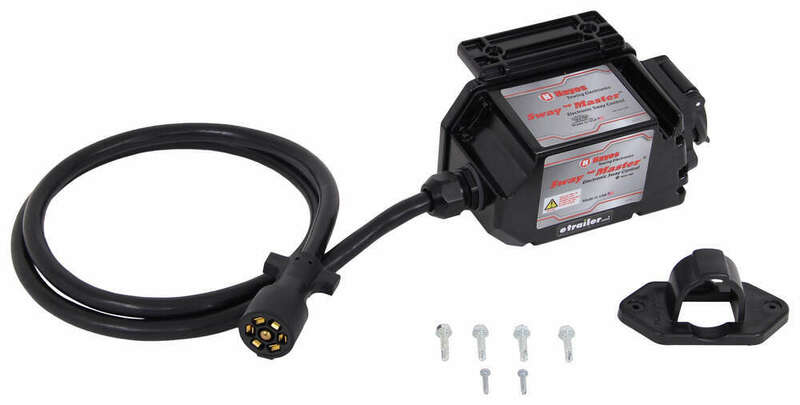 Just plug your 7-way trailer connector into the 7-way socket on the unit, and then plug the integrated harness into the 7-way socket on your vehicle. You will know the Sway Master is connected properly when the indicator light flashes 3 times. The light should continue to be illuminated as long as the unit is receiving power from the tow vehicle. If the light shuts off, there may be a connectivity issue. 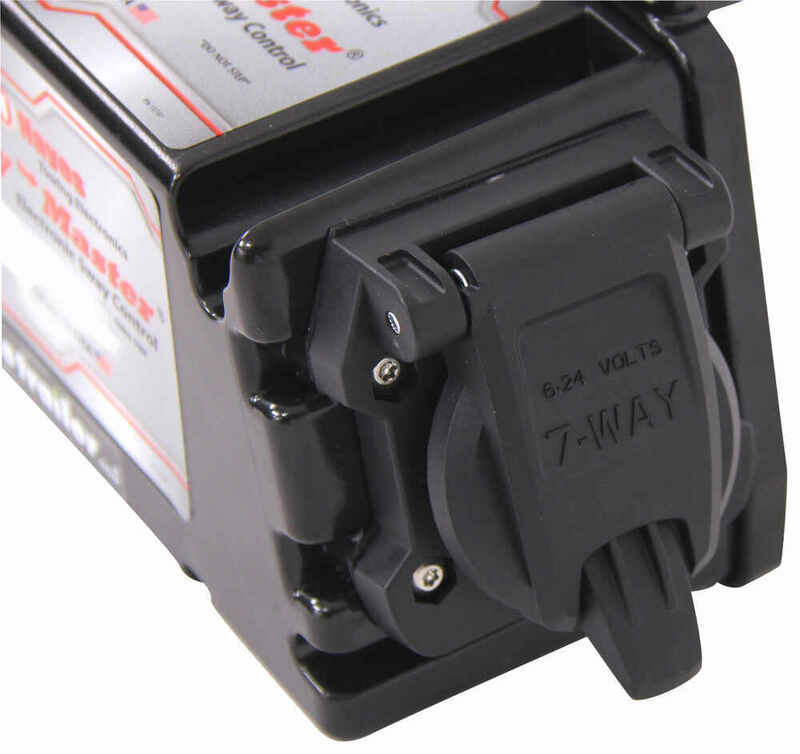 Today we're going to be taking a look at the Hayes Sway Master Electronic Sway Control System. The Sway Master is useful for use on light and medium duty trailers that don't require weight distribution. But it can also be used along with the weight distribution system for an even better towing experience. This weight control system is going to limit side-to-side movement of the trailer while towing. What it does is correct sway by activating the trailer brakes and it can be mounted almost anywhere along the trailer's tongue. The unit's going to activate the trailer brakes based on the degree of sway and the trailer speed. To do this it's going to use two main components. It's going to have a solid state driver scope that senses sway and activates all the trailer brakes at the same time and it's going to use GPS that monitors the speed and determines the brake force needed to correct sway at that speed. The unit will not activate until the trailer reaches 45mph, this helps prevent unnecessary braking while making turns at slower speeds. To get the unit set up, it's a very simple design that's going to use a plug-and-play system that doesn't require any hard wiring. The unit's going to plug directly inline with your current setup. So the 7-way connector is going to plug into the Sway Master unit on this side. It's got the nice plug right there, fully installed, built in. It's got the gasket on the underside of the lid to keep out moisture and dirt and the elements from the connection points. And then on this side we're going to have a harness that measures about 5 feet long. It's got the 7-way plug that's going to plug into the tow vehicle. Now the unit's going to feature parallel circuitry, which means that the unit will not interfere with normal braking or the signals on the vehicle from the brake controller, so it's going to be protected in that regard. 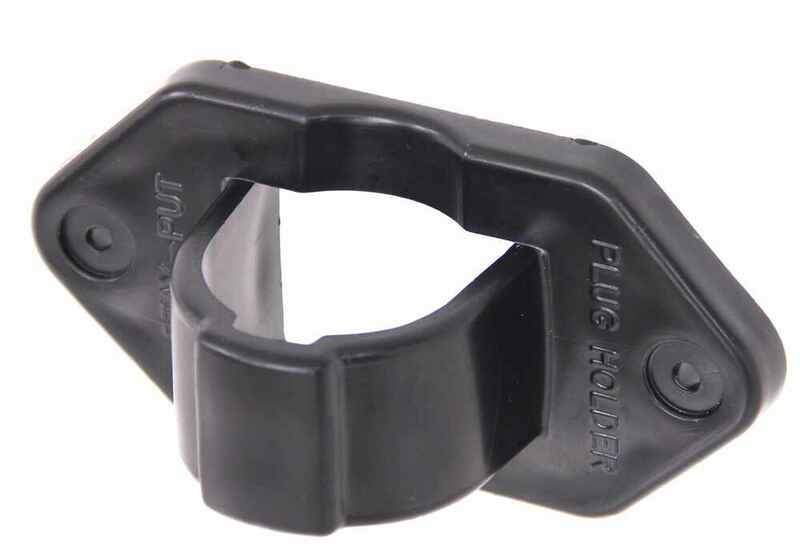 The unit's also going to come with a plug holder that can be mounted to the trailer to keep the plug safe and secure when it's not hooked up to the tow vehicle. So you would have this mounted to the trailer, when the plug's not being used, you simply put it into the plug holder. What that does is it keeps the unit off the ground, it keeps your connector safe and it also keeps the unit accessible for when you're ready to hook everything back up. It's going to come with the hardware to get the box installed on the trailer frame, as well as the hardware to get the plug holder installed at the mounting location. Now, this is going to give us a measurement of about 5" long. The height, top to bottom, is 2.5" distance between the mount holes right here, center on center is going to be about 4" and it's going to stick up about 2 3/16" from the mounting surface. The molded construction of the unit is water resistant and it's durable so it's going to do a great job of protecting all the internal components. The unit's also going to feature a self-calibrating design so there's no need to set up or continually adjust the unit. Very simple and easy to use. Now, again, it does dome with the included screws to attach the unit to your A-frame trailer. The Sway Master can be placed almost anywhere along the framing or tongue of the trailer, so that way you can clear other equipment with instructions on the frame of your trailer. So, it's a really nice, easy to use design, it's lightweight, very easy to maneuver and get installed and it's got a nice tight seal right here that threads together from the connection from the vehicle to the Sway Master and then from the Sway Master to the trailer. Now, one of the things I want to mention is that you will know that the Sway Master is connected properly. There's going to be an indicator light on the unit that's going to flash three times and that light should continue to be illuminated as long as the power is--or as long as the unit's receiving power from the towed vehicle. Now this is designed for trailers with up to 4 axles or 8 brake assemblies. 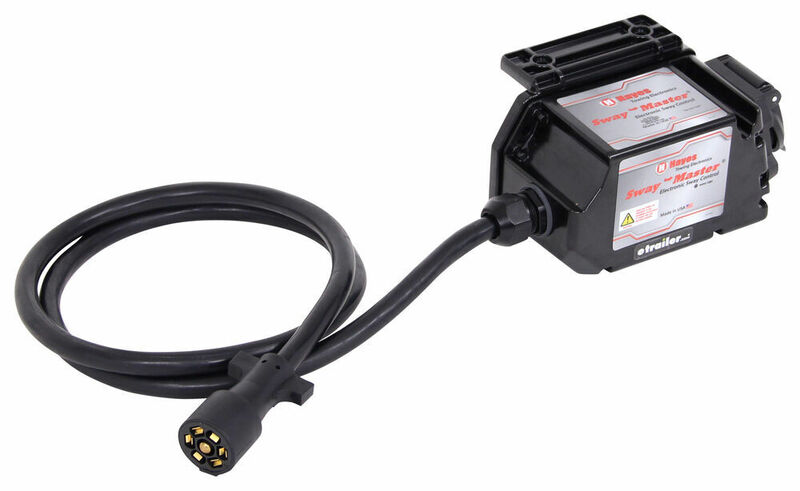 It's compatible with electric or electric over hydraulic brakes. A few measurements I want to go over with you real quick, regarding the Sway Master. If we take a measurement of the overall length of the unit, so I'm measuring from the front of the plug to this point right here where that connector kind of begins, overall length, so going from about this point here to about this point here, we're looking at a measurement pretty close to 9". If we take a measurement of the width, I'm measuring from this point right here to this point here, so that's going to give a measurement of about 3 3/4" wide. Overall height, that's going to be about 4 7/8" tall. Now when it comes to the dimensions of just the bracket right here, that's this back piece, that's going to give us an overall length measurement, that should be about 7 1/2". The overhang, which on top has two mount holes, that's going to give us a depth of about 1 5/8". And then from the underside of the overhang to the bottom of the unit's going to measure about 4 3/8". Again, the harness length is going to be about 5". I'm going to give you the separation of our mount holes. We have two here on top. These are going to be separated on center by pretty close to 3 3/8". Then we have a mount hole here and a mount hole right here. Those are going to be separated on center going on a straight line measurement of about 5 1/8". The product is made in the USA. Now, a note that I need to mention for you real quick is that in order for the GPS in the Sway Master to work properly, the top of the unit must be completely exposed to the sky. Other than insuring that the top is not covered and that the unit is pointing in the correct direction for hookup, there's no other mounting restrictions. And so, it's a low profile design, 4 mount holes total, and it comes with all the hardware needed to get the unit installed. That's going to do it for today's look at the Hays Sway Master Electronic Sway Control System.	.
Order: RelevanceNewestRating - High to LowRating - Low to High Sway control system helps correct sway in trailers that do not need a weight distribution hitch. To do this, the unit activates the trailer brakes based on the degree of sway and the trailer's speed. Gyroscope and GPS monitor sway and speed. I have added a rear TRD away bar and Timbrens to our 2016 Tundra, and tow with its tires near max pressure. I added Lippert Equaflex Equalizers to the rear axles, Provider 215 width load range D tires to replace the stock 205 E tires, which I run at the max pressure rating of 65 lbs. and the Hayes Swaymaster to our 2017 Coachmen Apex 250RLS. I use an Andersen weight distribution and away control hitch. All this is to minimize sway and the chance of a catastrophic sway event. Does our trailer tow well at the 65 mph speeds I do, for example when we towed last year to Arizona and back from Southern Ontario? Absolutely. Do I regret adding the well-priced and easily installed Sway-Master into my system of control over a year ago? Absolutely not. It works great. One of the best RV related purchases I have made. We feel much safer towing with it. In the time since I got the Sway-Master, I have felt it activate a few times when we encountered some particularly bad roads in Vermont. Other than that, it is just there as insurance as stated above. I believe it is worth it and stand by my previous review comments. 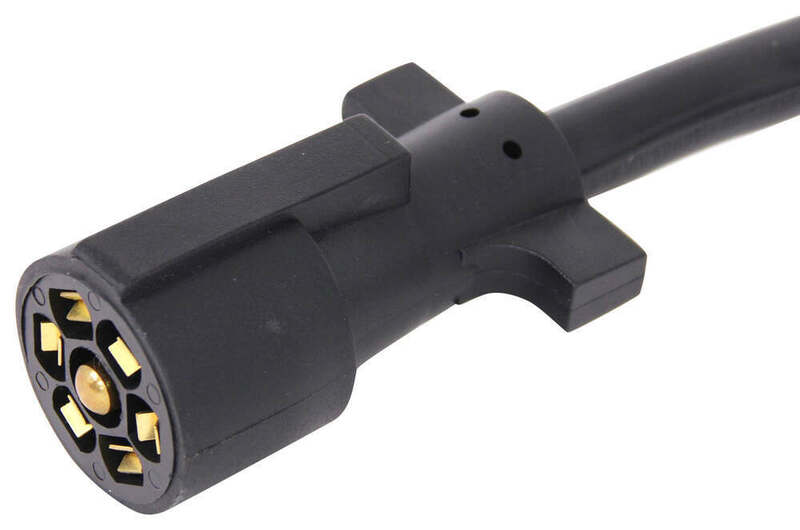 From your vehicle's trailer wiring connector you'd want to plug in the Prodigy RF part # 90250 and then you'd plug the Hayes Swaymaster # HA81775 into that and from there your trailer's wiring. The Hayes Swaymaster part # HA81775 can be used on trailers that are using a weight distribution system like the E2 kit that you have. It would only help and could be considered a form of insurance like you mentioned. The Hayes Sway Master part # HA81775 that you referenced is weather resistant which means it can experience rain without issue. You wouldn't want to submerge the unit like when launching a boat but it was designed to withstand rain easily. I attached a review video link for this for more info for you to check out as well. According to my contact at Hayes, as long as the top of the unit isn't blocked and the unit is pointed in the correct direction so the trailer can be plugged into it, there aren't any mounting restrictions for the unit. The Hayes Sway Master Electronic Sway Control, part # HA81775, has a gyroscope in the module so you will have to make sure it is very well secured in place so that it does not vibrate. I called my contact at Hayes and they said if you can secure it with a c-clamp and additional straps and keep it from moving when attached it should work just fine. 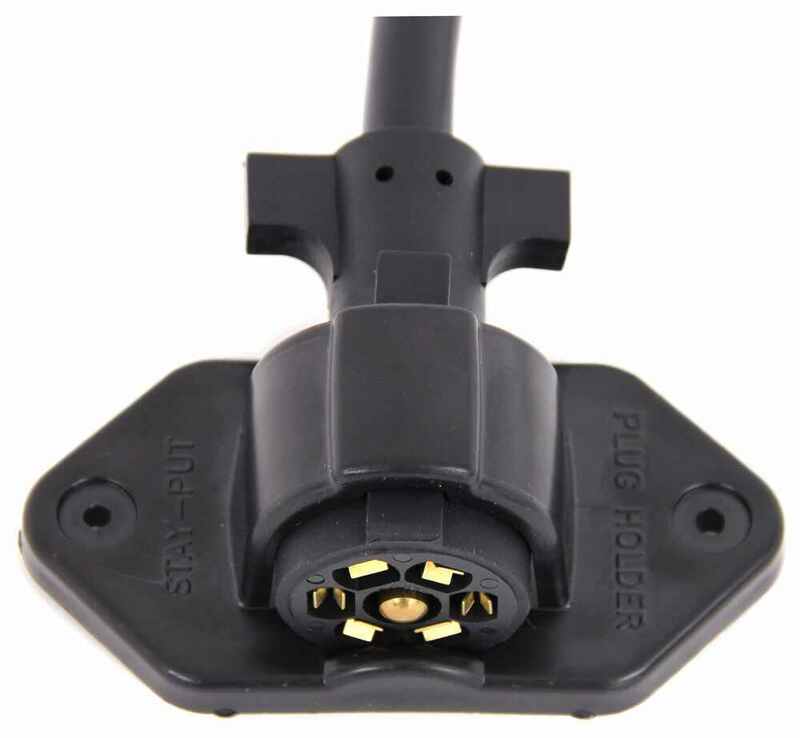 Are Anti-Way Bars Recommended to Be Used with the Hayes Sway Master Electric Sway Control System? 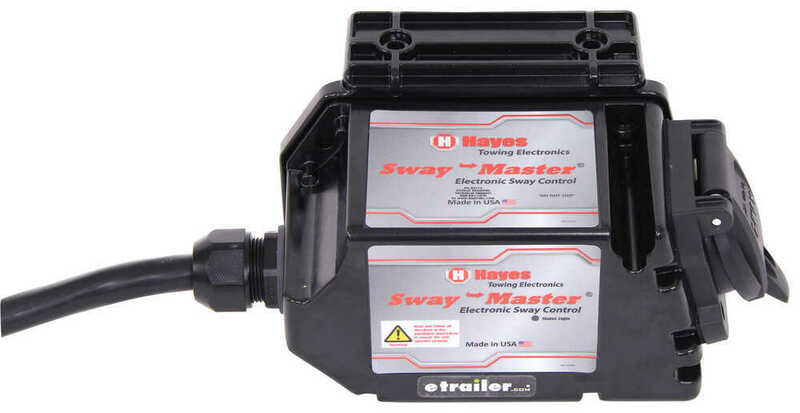 The Hayes Sway Master Electronic Sway Control System # HA81775 only lightly applies enough braking to stop trailer sway as it's happening. It does not drag the brakes to keep it from happening at all times. You might lightly feel the tug of the brakes as that's what our customers have reported when they get passed by semi-trucks.